"How Christmas Breakfast Has Changed For Me Over The Years"
This year's edition of OC Weekly's Annual Holiday Cartoon Issue comes out next week. Before it drops, I thought I'd share my cartoon contribution from last year's issue and wish all of you still reading a Happy Holiday Season! May your Christmas breakfast not consist of just Fiber One! Stay tuned to OC Weekly for a new cartoon! I paid $8 for the wedge of the Lady M Mille Crêpes cake you see above. It is expensive. There's no doubt about that. But if there were any cake that might justify the cost, it might be this one, because it's labor intensive as all hell. Someone had to make twenty individual crepes, lay each one out, smear the pastry cream on each crepe, then repeat the process nineteen more times, stacking them on top of the other. And then there's the crowning touch that brûlées the top to a golden brown. 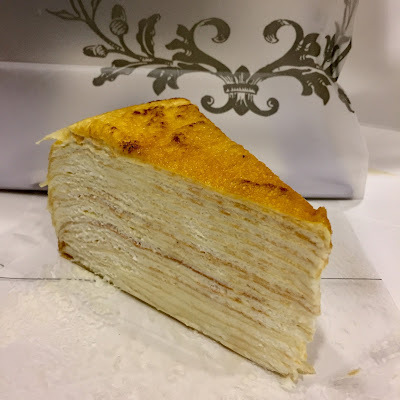 Since my slice--which was delicate, light, and tasting like a cloud looks--seemed to be a 30 degree section and it was made up 20 layers of crepe, that meant that each wedge contained about 1.67 of a whole crepe. 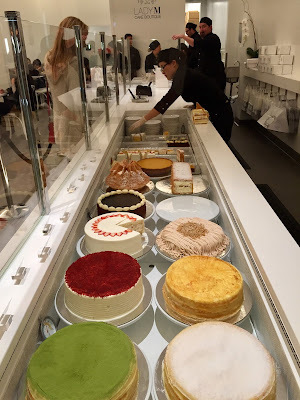 If you're doing the math, that works out to $4.80 per crepe--which, in a way, seems fair. That's about the going rate for a basic crepe out there these days. But really, if you're worried about cost, this probably isn't the place for you. Lady M is the Louis Vuitton of cake bakers. The space is minimalist and bare, and if you've ever been to those high-end boutiques in the Nordstrom wing at South Coast Plaza, you know that the less you see, the more you pay. - Boy loves eating at Naugles, a Mexican-American restaurant chain founded by a former Del Taco partner. 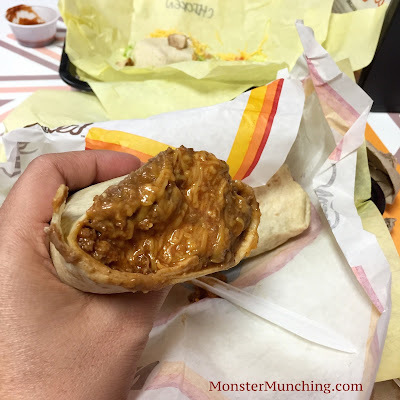 - Chain disappears after getting bought by Del Taco; but only after leaving an indelible mark on boy. 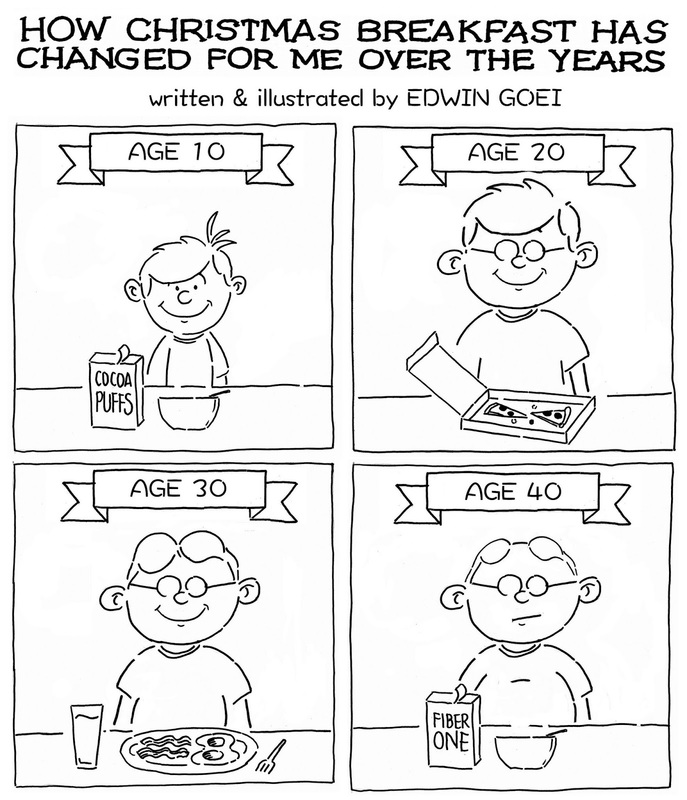 - Boy grows up into a man who loves Mexican food. - Man blogs about Mexican restaurants, including Naugles. - Man realizes that others love and miss Naugles as much as he does. 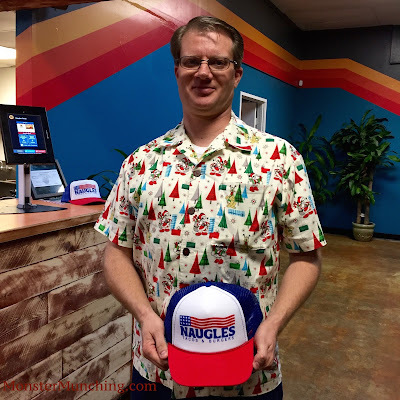 - Man hosts Naugles pop-ups and gets rave reviews. 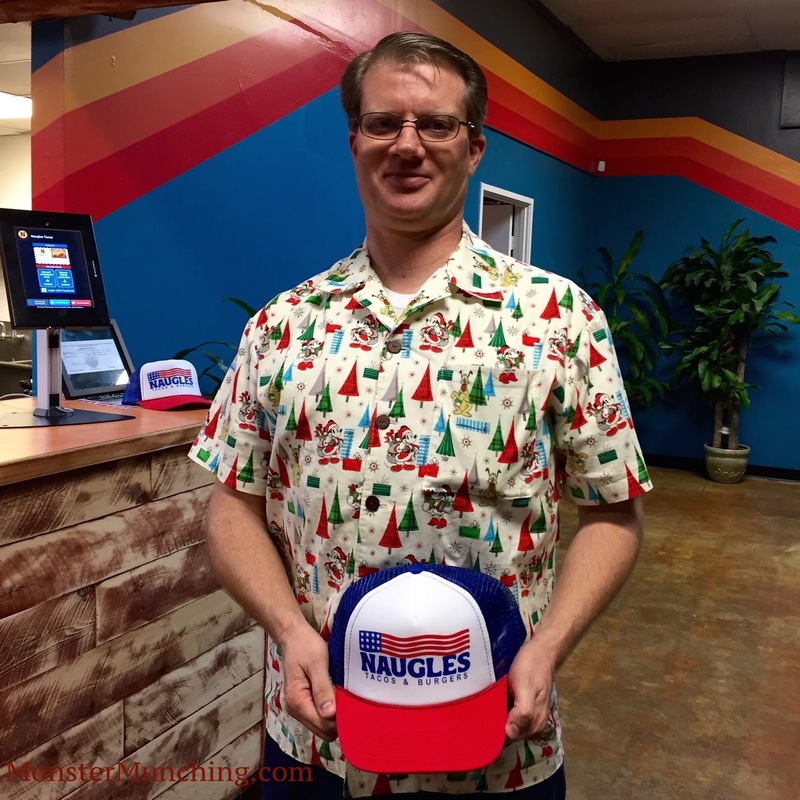 - Man goes to court for the right to use the Naugles trademark. 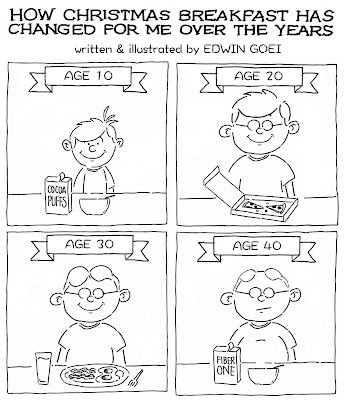 - Man opens Naugles and serves the same food he loved as a boy. - Now man is the owner of what's about to be a national franchise! If a Hollywood producer ever gets wind of this underdog story, the elevator pitch might be "David versus Goliath" meets "Mr. Smith Goes To Washington" meets "Like Water For Chocolate". On a personal note, I've known Christian for at least a decade. Christian and I started our food blogs about the same time (back when food blogs were still relevant), and he was *THE* first real human being to reach out beyond the virtual world of comment pages to ask me if we could meet in person. If I remember correctly, we met at a restaurant in Tustin that doesn't even exist anymore. In the intervening years, Christian and I ate at many other restaurants together and with other bloggers. Christian, you see--apart from being the entrepreneur, blogger, and all around Renaissance Man--brings people together. And that's what he did again last night when he invited me and my guest to his restaurant in Fountain Valley along with other food bloggers for a Naugles feast. 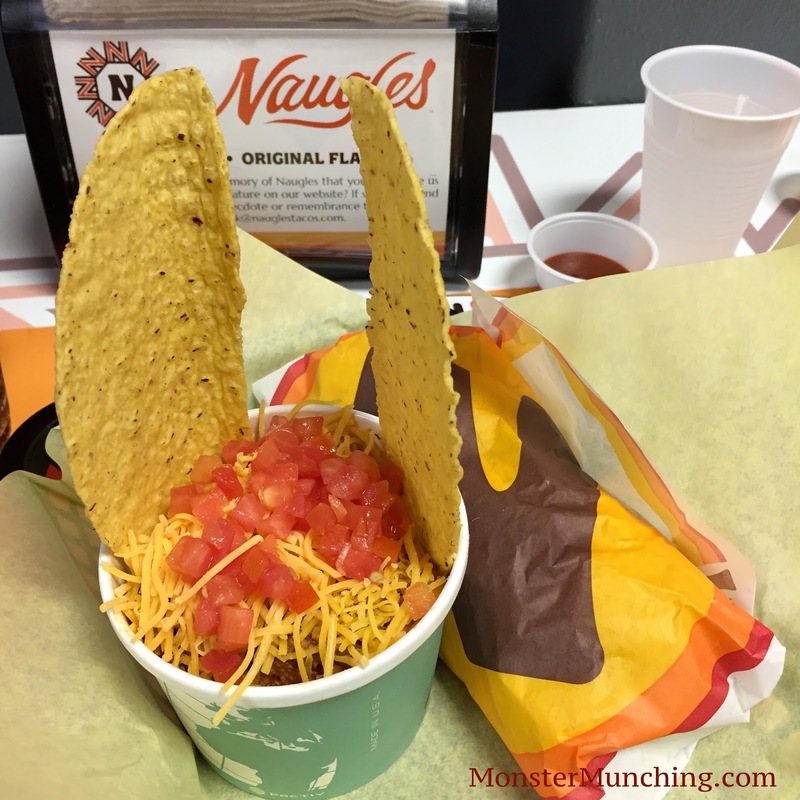 We ate burritos filled with ooey-gooey cheese and taco salad in a cup wearing taco shell bunny ears. This is all the Mexican-American fast food classics you're familiar with, but way way better--sourced with quality ingredients and cooked earnestly. If Del Taco is George Lucas making "The Phantom Menace"; the new Naugles is J.J. Abrams making "The Force Awakens". Last night, I congratulated Christian on his triumph, but also reminisced about our food blogging days. But here's how much of a dedicated fan of Naugles Christian still is. When I told him I remembered going to Naugles during my own youth in La Habra before it turned into a Del Taco, I was struggling to recount the street corner it was located in. Without hesitation, Christian finished my sentence: "At Beach and Lambert!" As I was leaving, I shook his hand and told him when I took the above picture: "I don't usually put pictures of people on my blog, but you, Christian, are a star!" 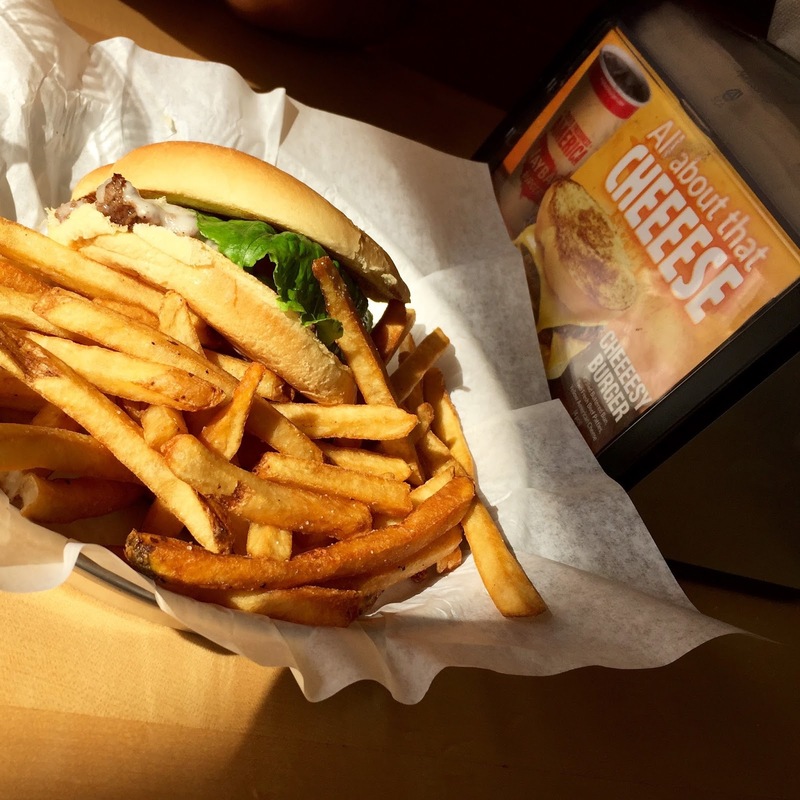 Wayback Burgers in Tustin wasn't anything I thought it would be. 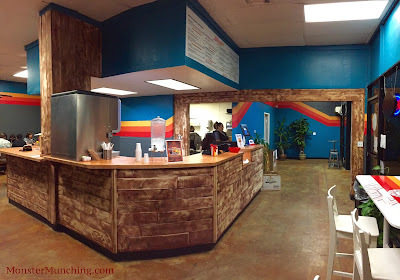 At first, when it opened a few months ago, I pegged it as a mom-n-pop. But further research revealed it to be a franchise--part of a chain that originated in Delaware but now headquartered in Connecticut. When I went to eat lunch there, it looked to have the hallmarks of a chain. It had the glossy posters of a corporate outfit and even a movie tie-in with a special Ghostbusters burger and shake called a "Stay Puft Slime Milkshake" that comes complete with a green slime drizzle and marshmallow topping. But other than that, it was decidedly very unchain-like. There was one employee there doing, well, everything. He took the orders, made the burgers, fried the fries, and wiped down tables. 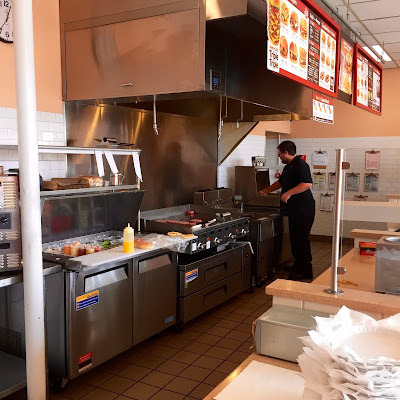 To cook our burger, he started with a ball of raw ground beef and smashed it flat against the sizzling griddle with a spatula. The buns he toasted with a strange vertical contraption that looked like no other toaster I've seen. And when it was all hot and ready, he walked it out the dining room and served it to us on a tray. This guy needs to be paid at least triple what he gets, because on top of being more chipper and friendly than I would be if I had his job, he made a pretty good burger. Though it wasn't like anything I've ever had in California, something about it triggered a memory. Have I tasted a similar burger before? Like in New York? Yes! Yes, I have! 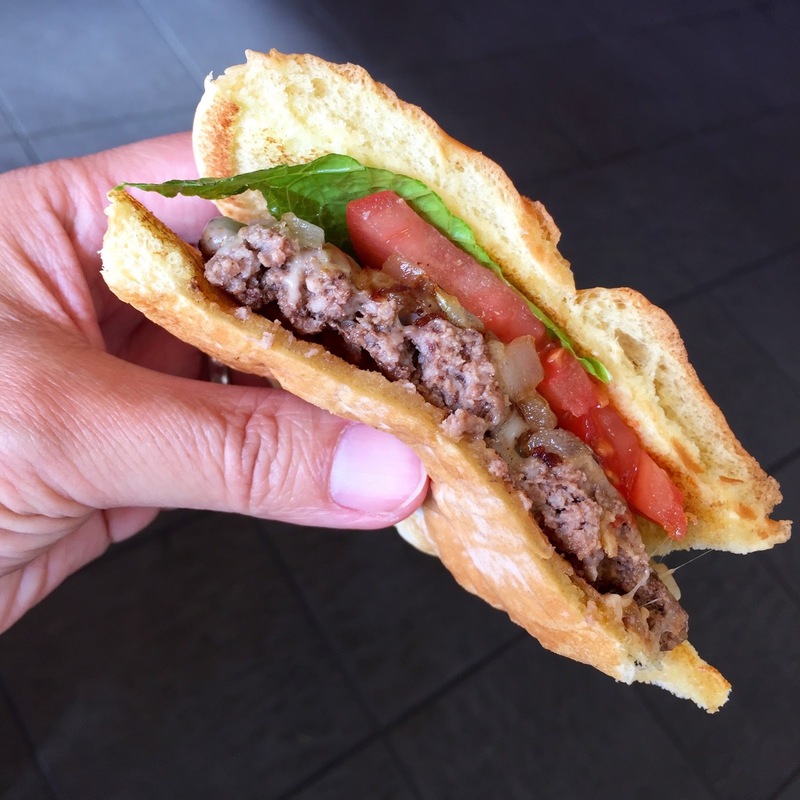 This burger reminded me of Shake Shack's burger. It's of a uniformly soft texture. The bun, the meat, even the tomatoes and sauce melded into a singular burger-flavored pillow, which isn't a bad thing if you're in love with Shake Shack and would rather not schlep it out to LA to have one.